We are happy to announce – Victor’s back for Nintendo Switch! And this time you can take him anywhere on his quest to separate as many demon skulls from there bodies as possible in the cursed city of Zagoravia. 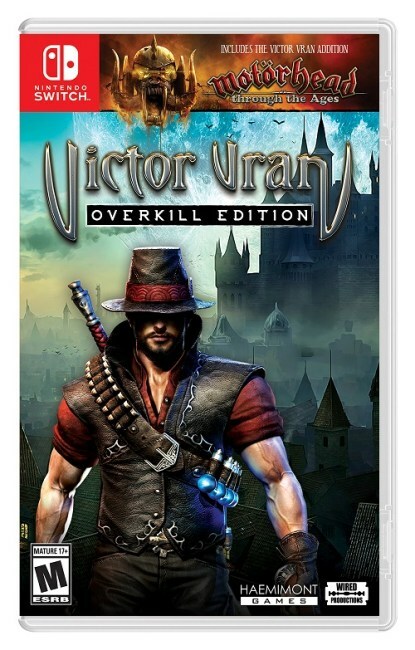 Hunt with local two-player co-op, with up to four-player co-op online as Victor Vran: Overkill Edition makes best use of Nintendo’s portable powerhouse to grant Nintendo Switch users the definitive demon-slaying experience! Click here to find out where to pre-order!